to launch commodity derivatives trading from 1 October, 2018. This approval is part of SEBI's December 2017 announcement of having unified exchange regime wherein stock exchanges will be allowed to offer trading in commodities derivatives. By a unified exchange regime, stock exchanges need not to set up different entities to offer commodity trading. With this approval, BSE will begin trading in commodity derivatives with non-agriculture commodities like metals initially, followed by agri-commodities subsequently. NSE will launch its commodity derivatives segment trading in non-agriculture commodities in initial phase, followed by agriculture commodities, subject to SEBI approval. Universal exchanges will help in achieving integration of trading in commodity derivatives market with other segments of securities market at exchange level. It will help in providing efficient price discovery, reduction in timelines, cost effective, user-friendly & a robust risk management system with wider market penetration. It will help in creating deeper markets with lower spreads and exchange by enhancing competition across all categories of trading. It will offer greater convenience as traders will be able to trade all asset categories from single account. It may also lead to consolidation of cross-holding norms as mergers between exchanges of different categories appear attractive. In the longterm, Indian exchanges will find it easier to compete with their global counterparts that are present in multiple segments. It is a market that is mostly related to food, metals or energy derivatives that are important part of everyday life. Types of commodities in this market includes metals like gold, silver, etc., energy like crude oil, natural gas etc. This trading traditionally move in opposition to stocks, so they are used as significant way to diversify portfolio beyond traditional securities. In India, MCX and NCDEX specialise in commodity derivatives. Q. 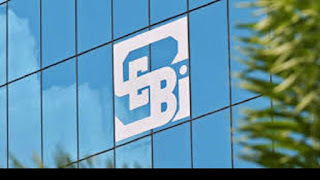 The capital markets regulator Securities and Exchange Board of India (SEBI) has allowed India's top two stock exchanges BSE Ltd and National Stock Exchange of India Ltd (NSE) to launch trading in which segment from 1 October, 2018?